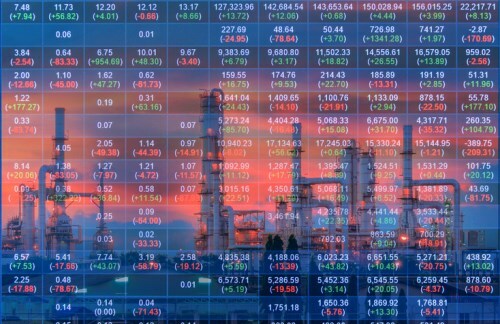 Oil prices saw a 1.7 per cent gain Thursday but it was the energy sector that was the largest drag on the main TSX index. Cenovus Energy was the reason with its announcement - after the markets closed for the previous session - that it is acquiring oil sands and natural gas assets from ConocoPhillips for C$17.7 billion. Investors weren’t impressed and ratings firm DBRS said it was putting Cenovus under review due to the increased debt that the acquisition will bring. Energy wasn’t the only sector group to decline though as 7 of the 10 closed lower including materials and financials. Wall Street gained with financials leading and there was a new record close for the tech-heavy Nasdaq. European markets were mostly higher while Asian indexes were broadly lower. The oil price sits just above $50 Thursday but if they fall well below that threshold and remain there for a long period, it could mean 8,700 job losses for the Canadian oil industry. That’s the view of Calgary-based research firm Enform which released a new report highlighting 52,500 job losses from 2015 to 2016 and only a third are likely to be replaced, even if oil prices stabilize to bring an expected period of increased jobs in the sector over the next 5 years. There was a 0.1 per cent gain for the Industrial Product Price Index and a 1.2 per cent gain for the Raw Materials Index in February, Statistics Canada reported Thursday. The higher prices for industrial products was led by meat, fish and dairy products; and primary non-ferrous metals. The gain for raw materials was driven by animals and animal products.